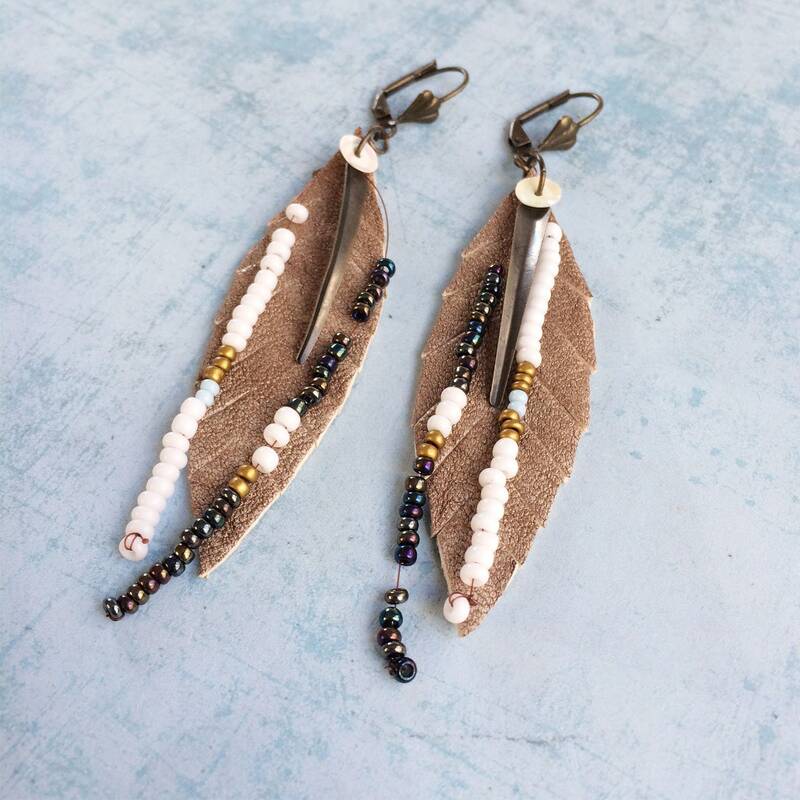 Dangle and drop leather feather earrings. 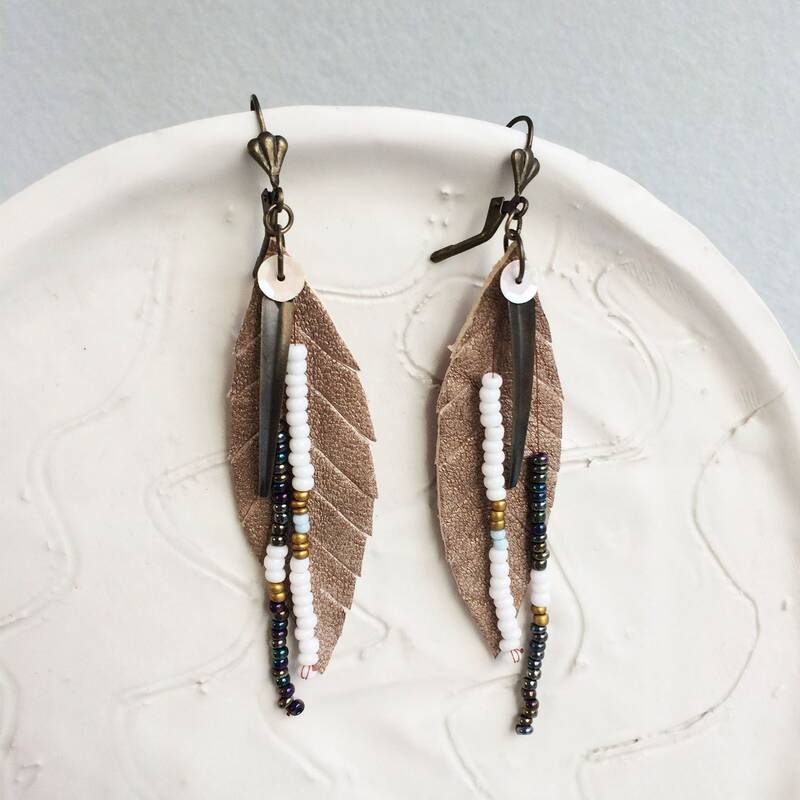 would`t be complete without a tribal-inspired earrings with a bohemian spirit. 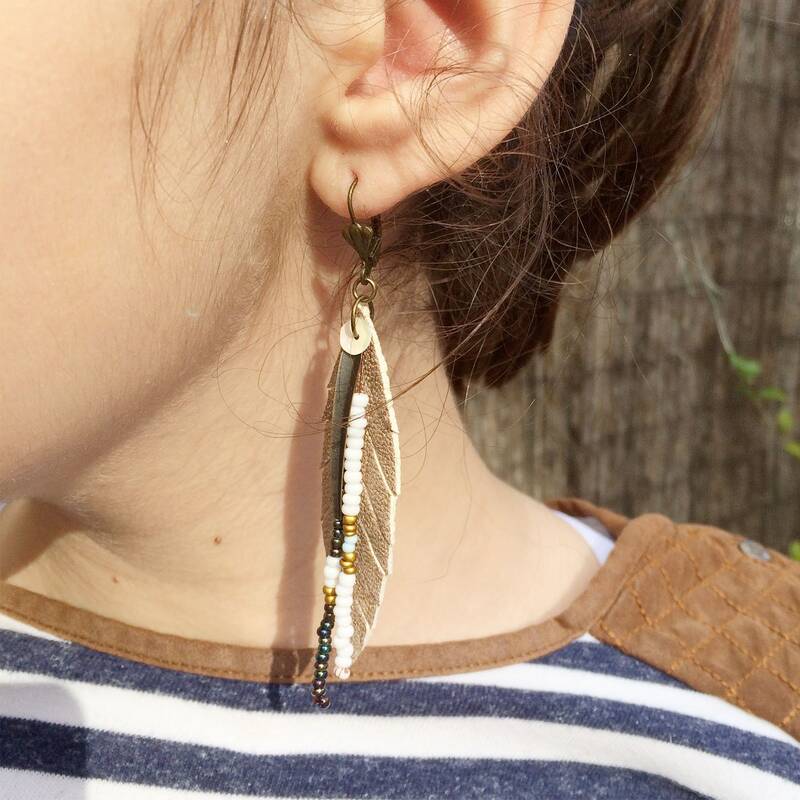 Long earrings shaped like a feather in gold leather. 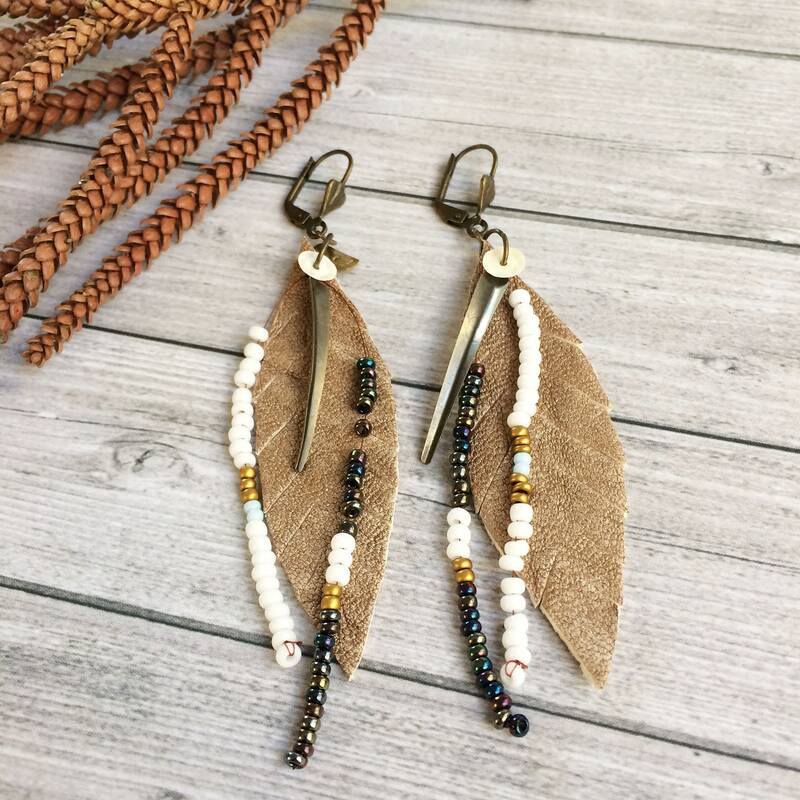 Seed beads fringe and brass charm long leaf shape. 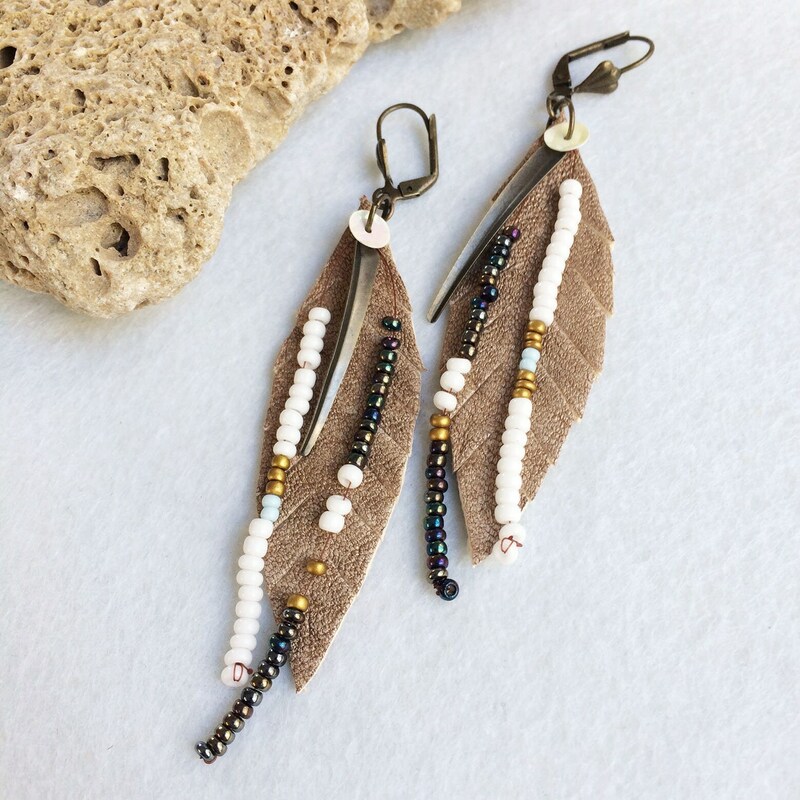 Brass, leather, seed beads and sequins. 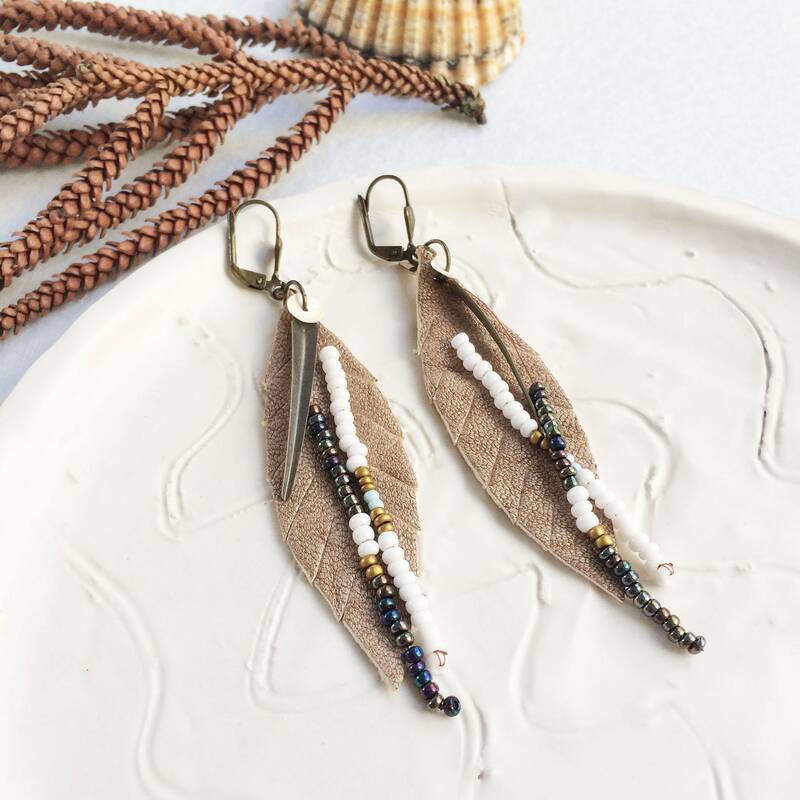 Golden, white and multi color seed beads. 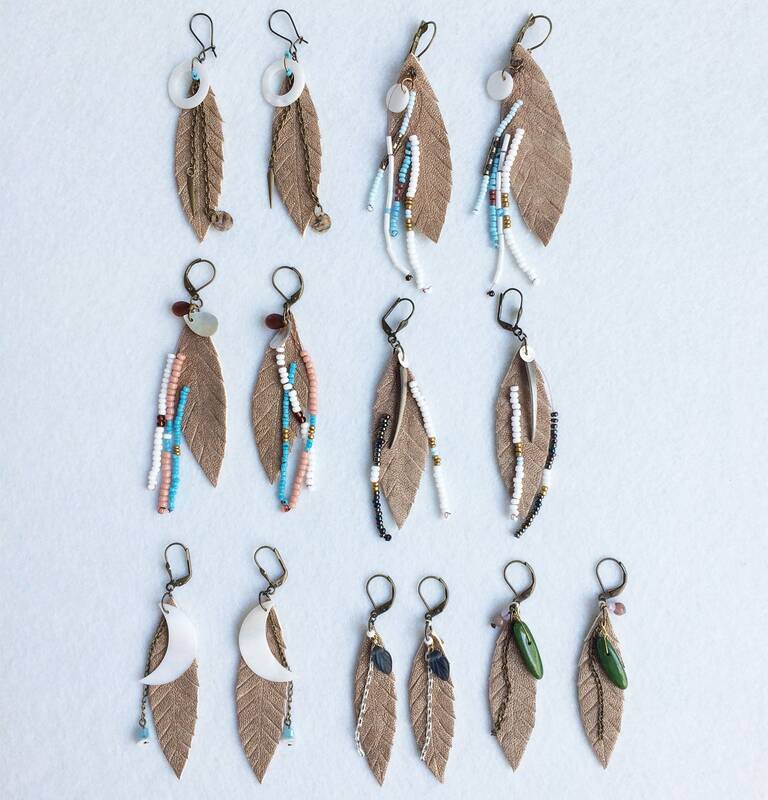 If possible, hang the earrings. 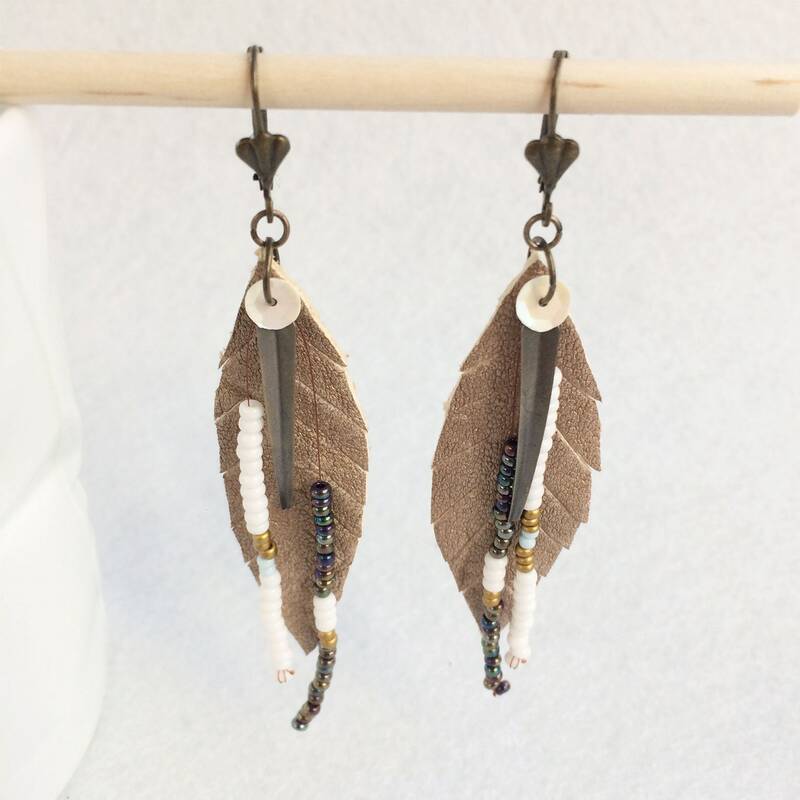 Do not mix them with other jewelry in a box.